The IN-USB-2 Infinity USB foot pedal control uses the USB Interface for maximum compatibility. The IN-USB-2 transcriber foot pedal is Windows and Mac compatible. This pedal is the newer version of the Infinity USB 1. 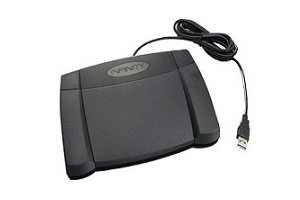 The Infinity IN-USB-2 USB foot pedal pedal is the most popular transcription foot pedal available. 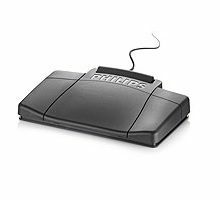 Compare this Infinity usb foot pedal to any other digital foot pedal and you will see that not all USB foot controls are the same. But, neither are foot sizes! That is why the Infinity IN-USB-2 Foot Control is designed for comfort and performance. 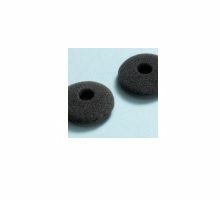 It is a perfect fit for any foot size. With a wide, inclined, center Play pedal, the Infinity give you easy pivotal foot movement from Fast Forward to Rewind. Most importantly, the Infinity IN-USB-2 foot pedal is the most compatible USB foot control on the market. 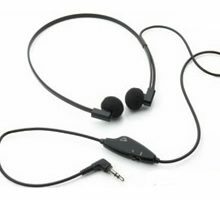 Here are some but not all of the compatible software products: AccuScribe, All in-one Digital Wav AudioScribe, Arrendale Transcribe+, Auto Wav, BayScribe, BCB/VoiceIQ, byteSCRIBE, CourtSmart, Crescendo, CyberTranscriber, CyberPlayer, Dataworxs, DocQscribe, Dolbey Systems, ECS, PowerPlayer, EMDAT InScribe, Empiric Encompass.Net, ExpressScribe, Express Scribe, Fusion Voice, FTR, For The Record, FutureNet, GearPlayer, HPI Sum, HTH, InqScribe, iPlayer, Liberty Court, Medical Transcription Interactive, MedQuist, DocQscribe, PC Dart, PlayAll XTRA, RapidText, Spheris Clarity, Start/Stop, Sten-Typist, Transcribe, Transcription Buddy, TranscriptionGear, Turbo Dictation, Vianeta, VoiceIQ, Wav Pedal, WebCorrect, Webmedx, and WinScribe.